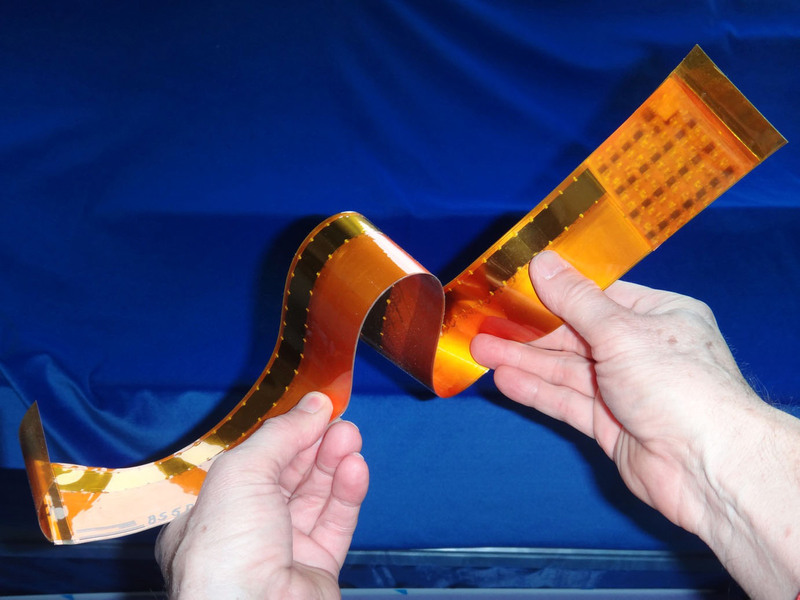 A strip of piezoelectric material used for sensing vibrations and pressure (Credits:Mirow Systemtechnik GmbH). Piezoelectric foil, otherwise known as space foil, was designed for measuring pressure on the surface of spacecraft reentering Earth’s atmosphere. Now Volkswagen is using it to monitor the surface of a car during crash testing. “We wanted to know at which moment which parts of the car are deformed,” explained Jens Weinrich, an engineer at VW. “In a crash situation, it’s always a problem that you never know exactly what will happen.” Mirow’s company, Mirow Systemtechnik GmbH, customized the foil, creating a strip with 50 sensors and and a thin flexible printed circuit board at the end to record results. Volkgswagon began studying the foil a few years ago and currently uses the data it collects to understand bend speeds and angles to better model crashes. They hope that the foil will provide the extra data needed to improve crash safety.